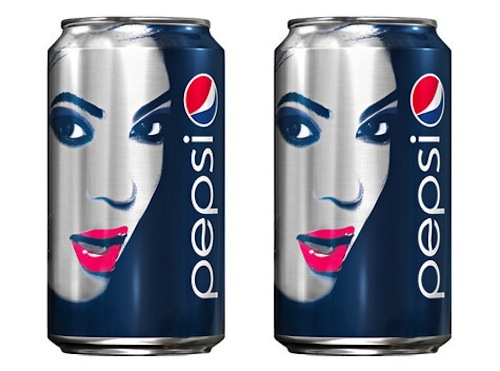 Beyonce will be using her massive star power to help push Pepsi sales in 2013. The pop queen recently inked a $50 million deal with the soda maker that will see her face on some upcoming Pepsi bottles. Beyonce will be staring in a series of upcoming ads for the company. As part of the deal, Pepsi will also fund Beyonce’s upcoming album due out next year. Beyonce, who will be performing at the Super Bowl halftime show in February, will be appearing in a Super Bowl TV ad for Pepsi. Pepsi also announced that they will be releasing a limited edition soft drink with Beyonce’s face imprinted on the bottle. Earlier this year Nicki Minaj inked a multi-million dollar deal with Pepsi. It is not clear if that contract has expired.